Friends of Acoustic Uproar! We are off on new adventures this year and will be taking a break from AU concerts. Lesley is now living in Calgary, AB, where she is the general manager of the Spiritus Chamber Choir. Heather is off to Estonia to study with composer Helena Tulve. We hope to continue Acoustic Uproar in the 2015-2016 season. Thank you so much for your continued support! Join us this Friday, December 6th, 8pm for an evening of new electroacoustic works! The concert features works for instrument and electronics and fixed media. We’re thrilled to feature Italian viola d’amore player Marco Fusi performing works by Andrea Mancianti and Davide Ianni! The concert will also include works by Eliot Britton, Bryan Jacobs, Ilya Rostostev, Heather Stebbins, and Anthony Tan and performances by Eve Boltax, Adam Pelandini, and Mike Williams. The concert will be held at Gallery 808 on Commonwealth Avenue. Tickets are $10/$5 student. L and H are thrilled to announce that the Acoustic Uproar Kickstarter Campaign was an enormous success! Thank you so very much to our generous donors! 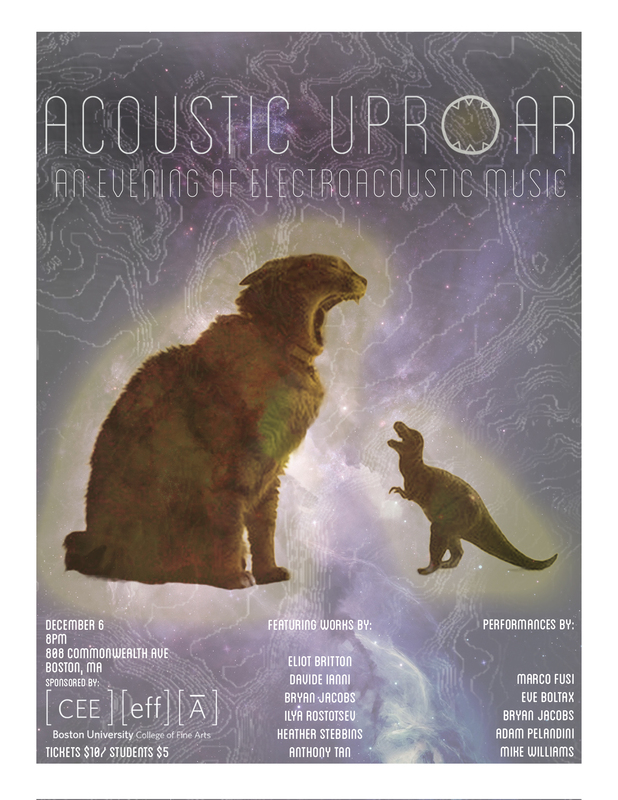 After two very successful small-scale concerts, Acoustic Uproar will be expanding to produce a large scale concert with a professional ensemble on March 1, 2013. In order to rent a larger venue, pay professional performers to play the works of our talented composer colleagues, and expand our audience, we are going to need some money! A few days ago we launched our first Kickstarter campaign, and after 3 days were are already more than 50% funded. In order to claim the money raised, we must raise $2750 by July 4th. We would be so grateful is you would consider donating to our cause! Please follow the link below for more information on both the campaign and the concert! 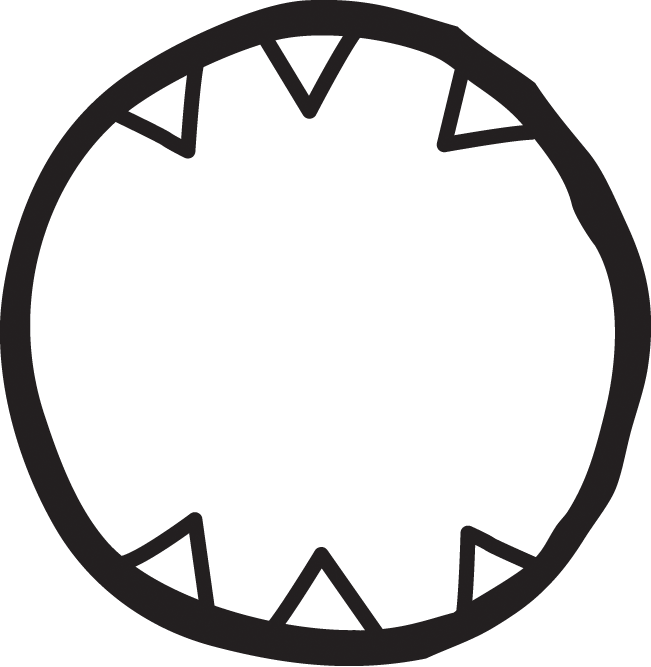 Our awesome logo was designed by the talented Grace Lee of NYC! Kisses to Grace via glyeah@gmail.com! L and H are excited to announce the first concert of the 2012 // 2013 season. The concert will be December 1st at 3:30pm at the Lilypad in Cambridge. L and H are excited to announce three concerts for the 2012/2013 season. Stay tuned for more information.